ओला और उबर, ऐमेज़ॉन और फ्लिपकार्ट, विजय शेखर शर्माकी पेटीएम कमपनी अब अलीबाबा, चाइनीज़ ने ६०% अपनी कर ली है (जक मा). भारतीय उद्यमियों (एंट्रेप्रेन्यूर्स) के लिए महत्वका सन्देश. आगे क्या करना है? स्पर्धा नहीं साथ. "ज़ूकरबर्गने कहा स्नेपचेटको छोड़ दो, तुम कह रही हो ईस्टाग्राम छोड़ दो. एक दिन आयेगा जब वोह कहेगा यह शोसीयल मीडिया छोड़ दो!" Learn advanced tips and hacks, the latest techniques about digital marketing technology in this Social Media Training program. Comprehensive Training for entrepreneurs on the new strategies of Digital Marketing. WHERE? Orbett Hotel, 1238/2, Apte Road, (Opp Hotel Shreyas) Deccan Gymkhana, Pune, Maharashtra - 411 004. India. FEES: ₹ 3000/- per participant. Includes follow-up session and one week of Whatsapp support. 1. Stay ahead of competition using effective Facebook Marketing. 2. Use of LinkedIn for business advantage. 3. Master the power of 280 Characters – Twitter marketing. 4. All-inclusive video marketing strategy – Green Screen - Including creating LIVE videos. 5. Creating a Digital marketing policy document. 6. Create a comprehensive social media marketing strategy. (1) Companies with Facebook Page having 100 Likes OR (2) LinkedIn Page with 100 Followers OR (3) 100 Followers on Twitter. In short, you are eligible if you have some exposure to social media. An absolute novice may not be able to enjoy. Important: Participants are expected to bring net-enabled mobile or a laptop for practical exercises. Thank you Platinum Sponsor Rohan Khatu, Bamboo Shoots Preschool, Activity Centre, DayCare Whatsapp +91 98220 81916 Website Link https://www.bambooshoots.in/ Thank you. FACULTY: JYOTINDRA ZAVERIJyotindra Zaveri (a.k.a. 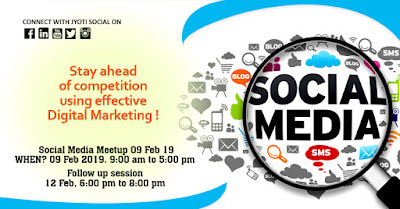 Jyoti) is a Senior Social Media Marketing Consultant and Trainer. 42 years’ experience in IT (Information Technology), helps companies promote their brand on Social Media. IT professional since ...1975 with academic credentials in electronics and electrical engineering from VJTI, Mumbai, India. Formerly worked in IBM, trained in Germany. • Eight years of experience in Social Media Marketing. • Specialization in Facebook, Twitter, Instagram, Pinterest, LinkedIn, YouTube, and such 12 digital platforms, with a proven track record. 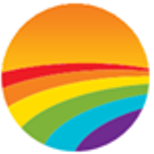 • Organizations outsource their Social Media Marketing to Zaveri with full confidence. 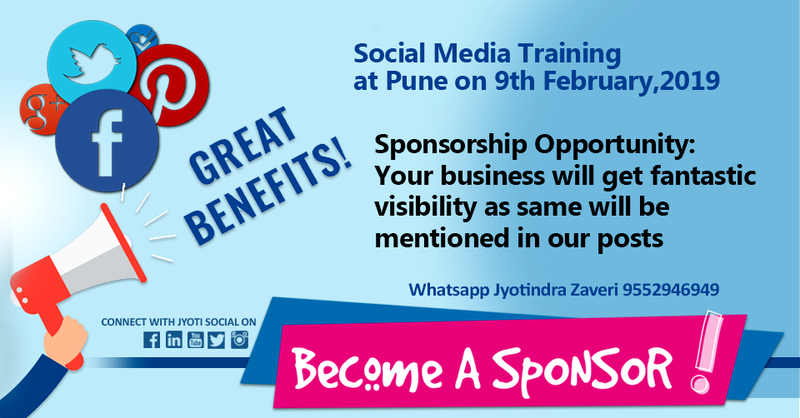 -SPONSOR OPPORTUNITY: Become a sponsor at Social Media Marketing Meetup Feb 2019 @ Pune. Get exposure at the Meetup and meet your future clients/ Referral partners/employees. In exchange, all I need is your logo, a short write-up, and a bit of financial support. 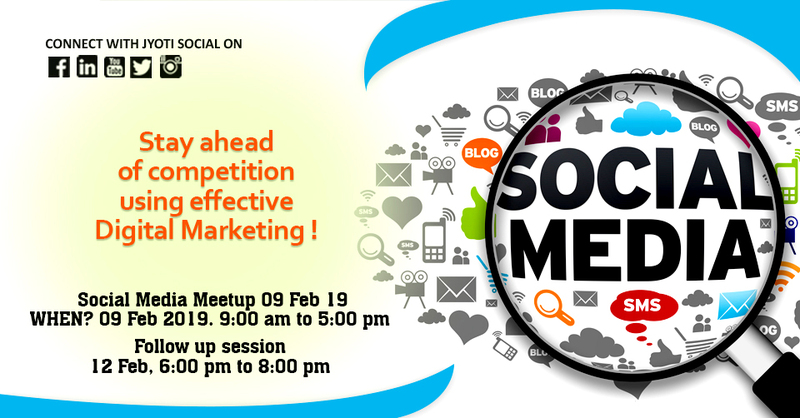 WHY SPONSOR THIS 9 FEB SOCIAL MEDIA EVENT? To drive your business in Pune to success! Four categories to select as per your own business plan. Budget from as low as ₹1500/- to ₹ 7000/-. Contact for details Jyotindra Zaveri +91 9552946949. 1. Branding beyond! Your name will appear as a sponsor in all our posts on various digital platforms from the date your advance is received until 09 Feb. So do not lose time. To get maximum advantage. Contact today. For example, our posts with your name will be on Facebook Social Media Group, that has 20,000 members. Your name will be announced in four of my LIVE broadcast and these videos will be published on YouTube (Three lakh video views), Facebook Pages, and groups. In short, for a small investment, you get huge brand publicity. 2. Support my genuine initiative to educate and discuss entrepreneurs, who need practical guidance to compete with bigger players. Your small support will help me in a big way. 3. Collaboration! If you are a marketing company collaborate with me. Synergy is the best way to grow. I believe in collaboration rather than competition. 5. What is the difference between Facebook Company Page and Facebook Local Business Page? This is an online training session for Entrepreneurs, who want to stay on the cutting edge of digital marketing! From Atlanta, USA. Today is Wednesday, December 26, 2018, and I am jyotindra Zaveri, your friendly social media marketing consultant and trainer. According to Splash Data’s yearly report. Who is the worst enemy? The worst enemy is the virus. Recently I downloaded an Application. It contained a virus. Trojan!So what to do? Make sure your anti-virus software is up to date. Instagram does not hide posts in the feed, and you will see everything posted by everyone you follow if you keep scrolling. Instagram Stories: Try the cool Countdown button! Training for entrepreneurs on the new strategies of Digital Marketing. Next Digital Marketing MEETUP will be in Pune, India. WHEN? Saturday 09 Feb 2019. 9:00 am to 5:00 pm. Follow up session. Tuesday, 12 Feb 6:00 pm to 8:00 pm followed by dinner. Next point is about Captions and subtitle in the video. Srt file for LinkedIn Native Videos! Adding Closed Captioning to Videos on LinkedIn. You can now add closed captioning when sharing a video on LinkedIn from the desktop experience. You will need to have an associated SRT (SubRip Subtitle) file attached to the video before it can be posted. Remember that on LinkedIn there is a limit of ten minutes. Note: Closed captioning can be added to member and Company Page posts. Once the video is uploaded, processed, and ready to view, you will be notified. The closed captioning will be viewable at that time. What is the difference between Company Page and Local Business Page? If you have a local business. I strongly recommend creating a Facebook Page. There are several kinds of Page. Select Facebook Page for local business. When creating a Facebook Business page, the very first step is to choose what type of page you would like. Company, Organization or InstitutionIf you are an online store, have more than one location or foot traffic is not of major importance for your business, this is the option for you. Option to add the ‘check-in’ ability after initial set upIn addition to the features above, the list of business categories is different for each page type. As an example, Local Business Pages include categories such as Restaurant, Beauty Salon, Retail Shop etc. whereas Company Pages have categories such as Consulting/Business services. Local Business or PlaceIf you have a ‘bricks and mortar’ store or want people to physically visit you, the Local Business or Place page is for you. If you think you have selected the wrong option for your business, you can always change it! Once you set up your Facebook Page, you can change the category by selecting Edit Page - > Update Info. Once you have changed the category, the details required will change according to the new category. Like and do not forget to tick the 'See First' option. On Facebook, there are over two billion users log in every month. India is a great country. There are about 294 million users in India. That is about 29 Crore users in India. Whether you are using Facebook for branding or not, your competitors are using. A very big market opportunity waiting for you. Facebook Messenger is the top mobile app by the number of downloads. And the main Facebook app is second on the list. The dominance of mobile implies that entrepreneurs need to make online content mobile friendly. WhatsApp is third and Instagram is fifth in terms of downloads. Did you notice all these Apps are from the same company? Yes, Facebook is the leading company. Generation Z, are those born in 1995 or later. Focus on Gen Z in 2019. Gen Z has entered the workforce, and this generation has over 75 million people who are not teenagers anymore – they are consumers who influence $600 billion of family spending. Gen Z can quickly and efficiently shift between work and play, with multiple distractions going on in the background...working on multiple tasks at once. Just think about how this kind of flow might reshape the office. Consider this data: 80 million small and medium-size companies are marketing on Facebook on monthly basis. 25 million businesses promote their products on Instagram. 94% of B2B marketers promote their brand by posting regularly on LinkedIn. The challenge is, how to keep up with the changes on various digital platforms. The answer is to read and study changes in social media sites. Better still come and meet me every Wednesday online at this time. Knowing the latest trends is a proven way to change your social media marketing strategy and sustain the company's success. Snapchat and Instagram will be the most important social media channel in the year 2019, because Gen Z will dominate the market soon. 1. Amongst your busy schedule does not forget to reply to people who are commenting on your post. This one task you need to do it yourself. All other normal postings etc. you may outsource but replying to comment need to be handled personally. This is almost a daily, or once at least once in two days task. 2. Another regular task in reviewing and revising keywords. This needs to be done once in three months. What do you think of the social media marketing trends for 2019? I will be happy to know more in the comments! 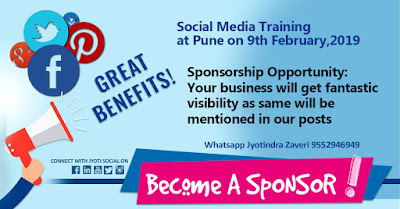 This post is published on the Blogger Blog by Jyotindra Zaveri, Social Media Marketing Consultant, and Trainer. Contact Jyoti Social, Social Media Agency Whatsapp +91 9552946949.